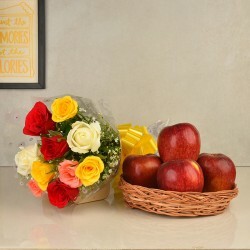 Birthday Flowers and Cake Delivery Online - Birthdays should be celebrated with the best gifts available. If the birthday of your loved one is just around the corner then we have the most amazing ideas that will solve your Birthday Gift confusion. 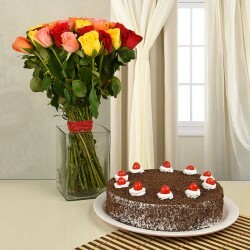 With our Flower and Cake combos, you can make the birthday of a loved one the most special day. Birthdays are all about celebrations and gifts. If the Birthday of your loved one is near then we have the best Gift ideas to make your work easy. 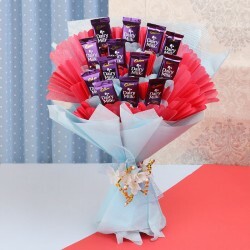 On the Birthday of a special someone, knock on their door with a combo of Flowers and Cakes. This year, make their birthday celebrations fragrant and sweet by sending combos of Flowers and Cakes to them. At MyFlowerTree, you will find the most fragrant and well-blossomed Flowers and the most delicious Cakes. Cakes are the essence of Birthdays. Cutting a Cake on the birthday is a tradition. On this Birthday, surprise your loved ones with a special Birthday Cake with Flowers. With flavours like the ones that we have, every Birthday will become memorable. Our collection of Birthday Flowers and Cake Include Red Roses and Cake, Pink Roses and Black Forest Cake, Orchids with Heart Shape Cake, Yellow Roses and Cake, Carnations with Truffle Cake, Red Roses and Black Forest Cake and Much More. All the cakes are available in round, rectangle and square shapes. You can get a 5 star cake which are sourced from 5 star bakeries. What could be better than sending just Flowers or just a Cake to your loved ones on their Birthdays? The only thing better than this is sending both Flowers and Cakes together! Two are always better than one. So order a Combo for your loved one now. With MyFlowerTree, you will never be late when it comes to wishing a loved one on their birthday. 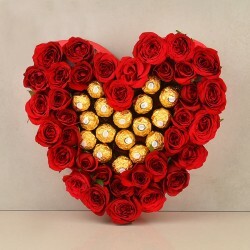 With our Same Day delivery, you can send your Gifts to your loved ones on the same day. 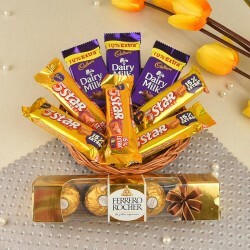 You can send your birthday Gifts on the same day to the major cities like Delhi, Mumbai, Chennai, Kolkata, Kerala, Karnataka, Rajasthan, Gujarat, Assam, Tamil Nadu, Andhra Pradesh, Uttar Pradesh, Madhya Pradesh and more. Now you won't regret missing any birthday with same day delivery. We know how fun it is to surprise a loved one on their Birthday right at the stroke of the clock. Midnight surprises are the best and make birthday celebrations better. With MyFlowerTree, you have the opportunity to send your Birthday surprises at midnight. Have fun at surprising your loved ones at midnight.